Thank you for the confirmation of my Opilio canestrinii. 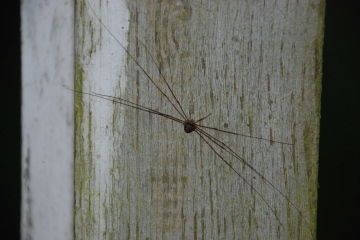 I hadn't expected to record any harvestmen in January but here is another one, again sitting by my garden moth-trap. 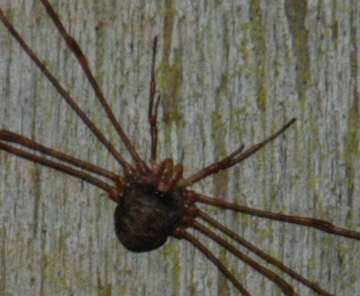 According to my old fieldguide and the FSC pictorial guide, this one appears to be Dicranopalpus ramosus but I note that there is now D. caudatus as well. Is my identification correct and how is this species pair currently being recorded?